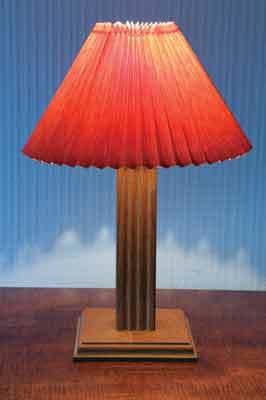 Table lamps are always needed and can be very expensive to buy. Here is an elegant design that exploits your router's decorative qualities. 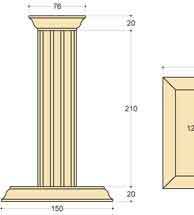 It takes the form of a square column with fluted faces. 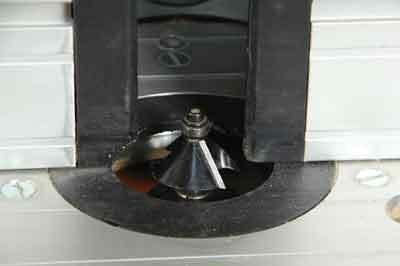 Both the base and the top are moulded using a bearing guided cutter, and the centre is drilled to take the power cable. A lampholder is screwed to the top. Alternatively, a larger hole may be bored in the top and the same design used to make a candlestick. 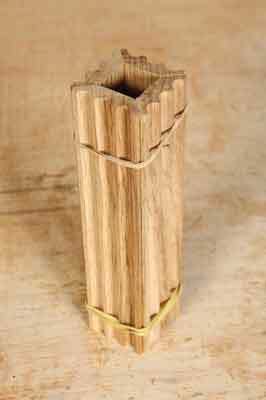 The column is made from four lengths of 12mm thick timber with three flutes routed into them. The most difficult part of this project is getting the flutes evenly spaced on the sides. Experiment on a timber offcut until the spacing looks right. Remember that you only need to set the side fence twice as both the outside flutes may be cut using the same setting by reversing the workpiece. 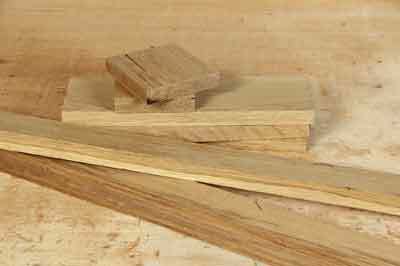 You will need a suitable pile of scraps, such as these. 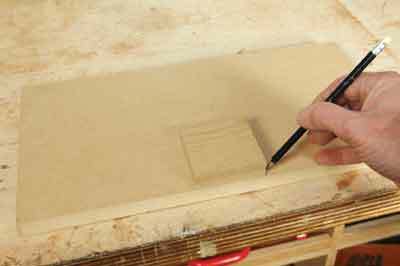 Mark out the flute positions on the workpiece with a pencil. 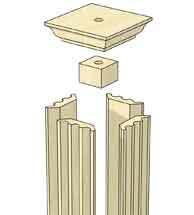 Use a 10mm diameter cove cutter to form the flutes. 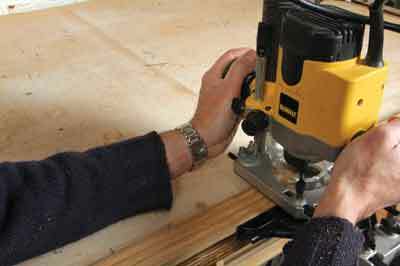 Clamp the workpiece to the edge of the workbench making sure that it overhangs slightly, so that the router side fence will not touch the bench itself. Having finalised the settings you can now mould the sides. 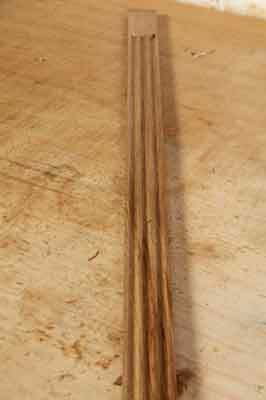 Do not cut the sides to length before moulding them but take a single length of timber at least 950mm long and cut all the flutes in one go. 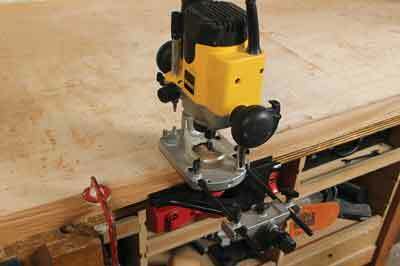 This should leave enough waste at the end to allow you to clamp it securely to your workbench. The completed flutes should look like these. 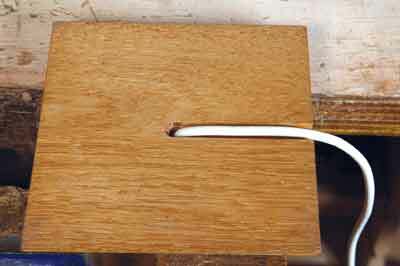 The sides will be joined using a mitre joint. 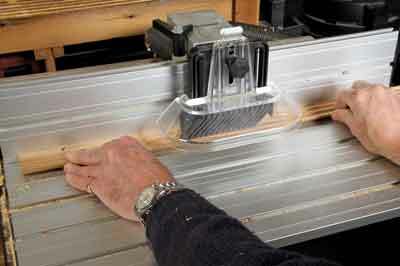 This could be cut using a tilting arbor table saw, but a much easier method is to use a bearing-guided chamfer cutter. 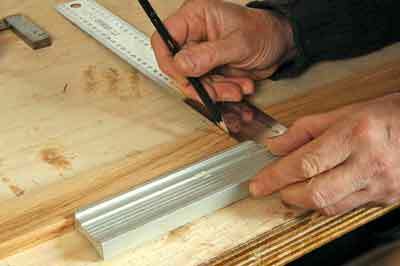 The angle of these cutters is 45°, so they will produce the perfect mitre joint without any tricky setting up. 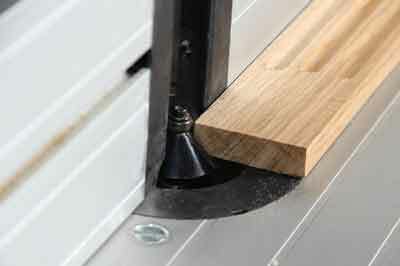 When moulding the edge of a narrow workpiece, such as this one, it is preferable to use a router table for safety and accuracy. 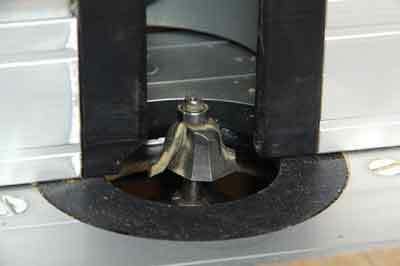 Set the cutter height so that there is about 1mm of the workpiece running against the bearing. Mould both edges making sure that the flutes are facing upwards. Be careful to keep your hands well away from the cutter. Now cut the sides of the flutes to length. 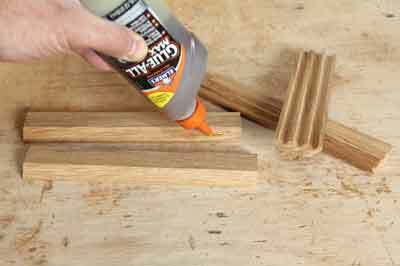 You can then apply glue to the joints. 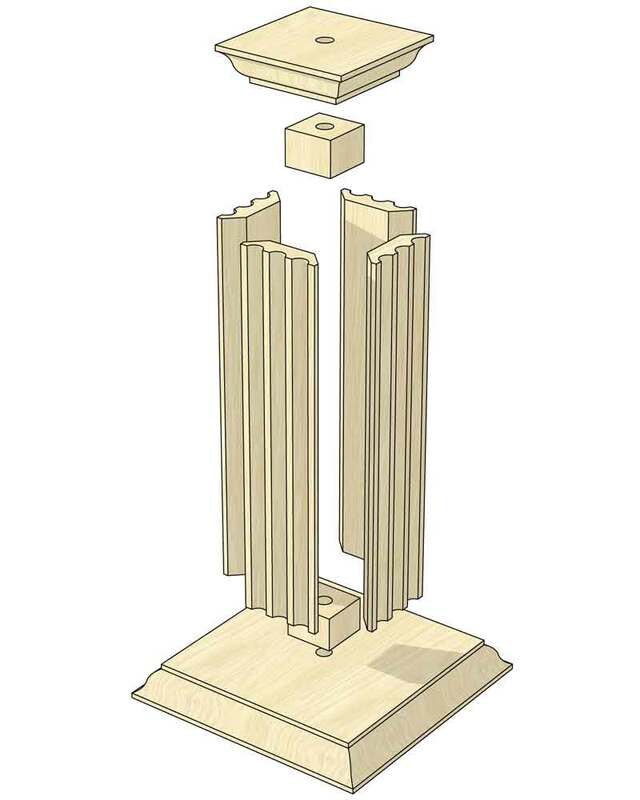 Assemble the column, and make sure that all the joints are accurately set. Support the assembly with rubber bands until the glue has cured. ... and clamp up tight. Put aside until the glue has cured. 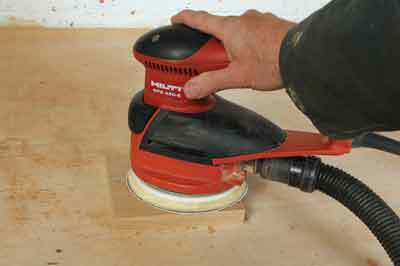 Next, cut the base to size and clean up with a sander. Both the top and base have moulded edges. 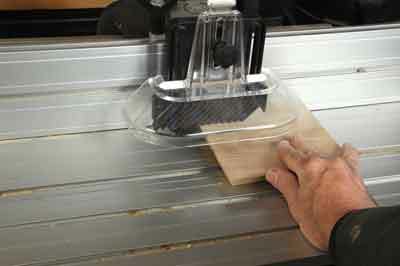 Use a bearing guided ogee cutter mounted in the router table for this. The base is easy to mould. Make sure that you start on the end grain and work your way around it in a clockwise direction, ending on the side grain. This ensures there is no breakout on the corners. Moulding the top is a little more complicated. Because it is so small, it is not safe to mould it freehand. 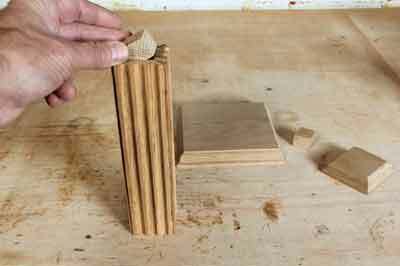 Your fingers would get too close to the cutter, so you need to make a simple holding jig. This is just a piece of scrap board around 250mm long and 200mm wide. 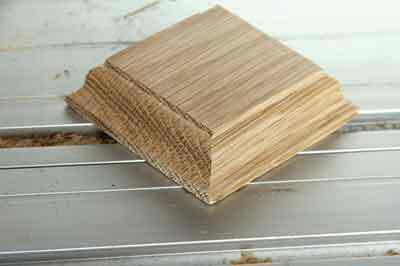 Take the top and place it on the board so that its side is flush with the long side of the board. Draw round it with a pencil. 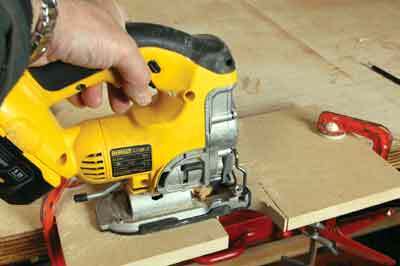 You can now cut out the waste with a jigsaw. 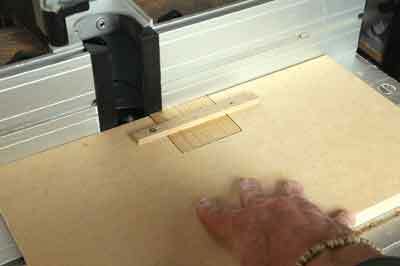 The top should slot snugly into the cutout in the board and the edge must line up. Screw a thin timber batten across the top to hold it down. 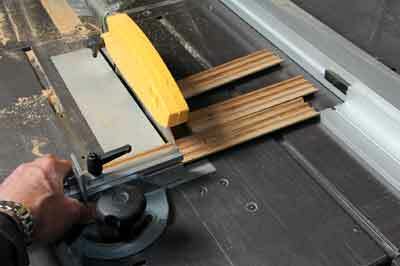 Now start the router and run the whole board past the cutter. Take out the top, turn it round and replace it. Repeat the process until all four sides are moulded. The completed top should look something like this. 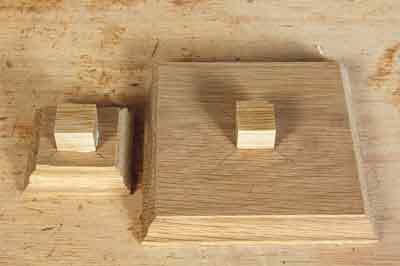 To assemble the lamp, first you need to make up two small blocks with sides approximately 25mm long. 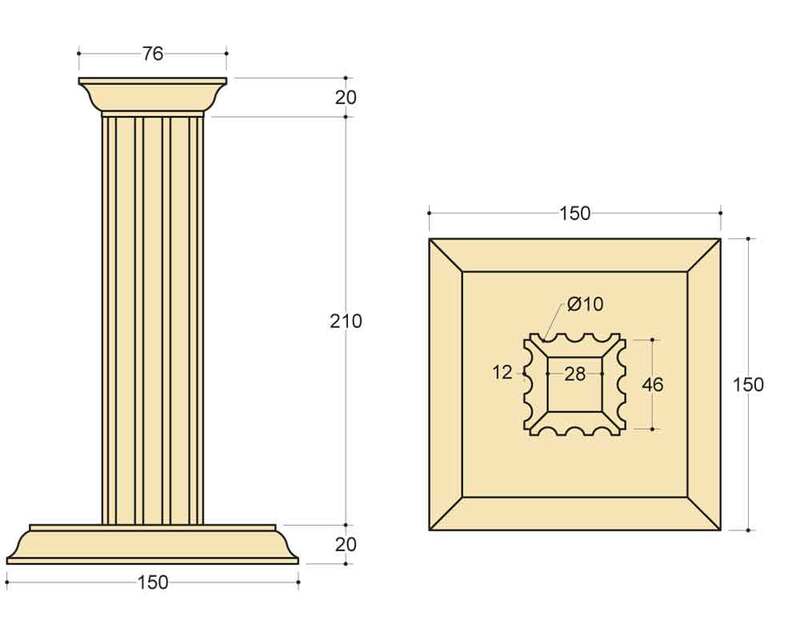 These should be adjusted so that they fit snugly into the ends of the column. 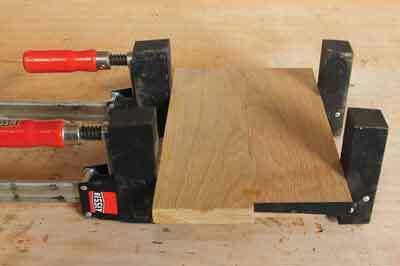 Once you are happy with the fit, glue one block in the centre of the base and the other onto the underside of the top. 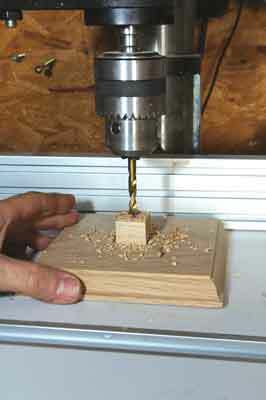 Drill a hole large enough to accommodate the lamp flex through the centre of both blocks. 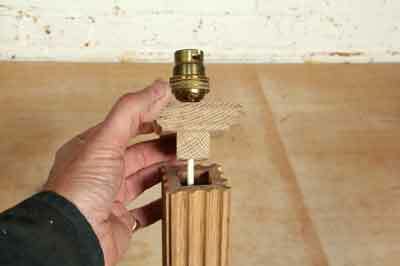 Fit the lampholder and thread the flex through the top, down the column and through the base. Before finally gluing the components together, install the cable and fit the lampholder, or refer to a qualified electrician if you are in any way unsure about this. Apply a little glue to the blocks and then assemble the lamp. 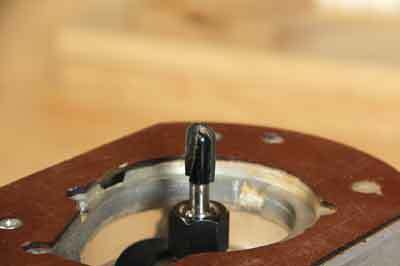 You can attach self-adhesive rubber feet to the base to provide clearance for the flex. 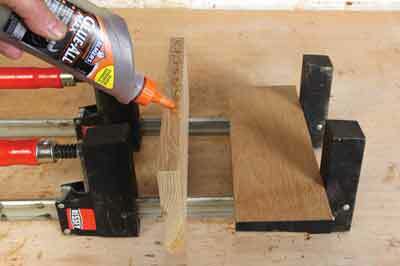 Alternatively form a groove in the base with a small gouge. 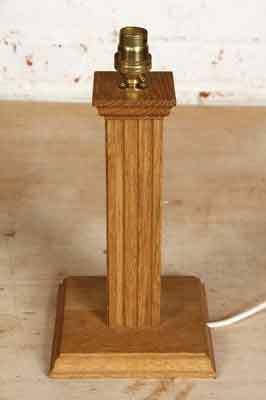 The completed lamp is now ready for use. Not bad for a project made from a pile of scrap pieces of timber!